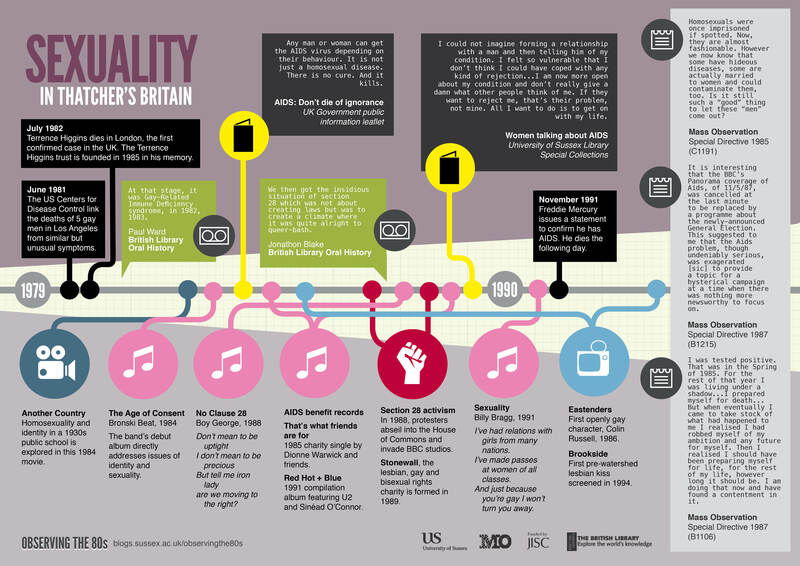 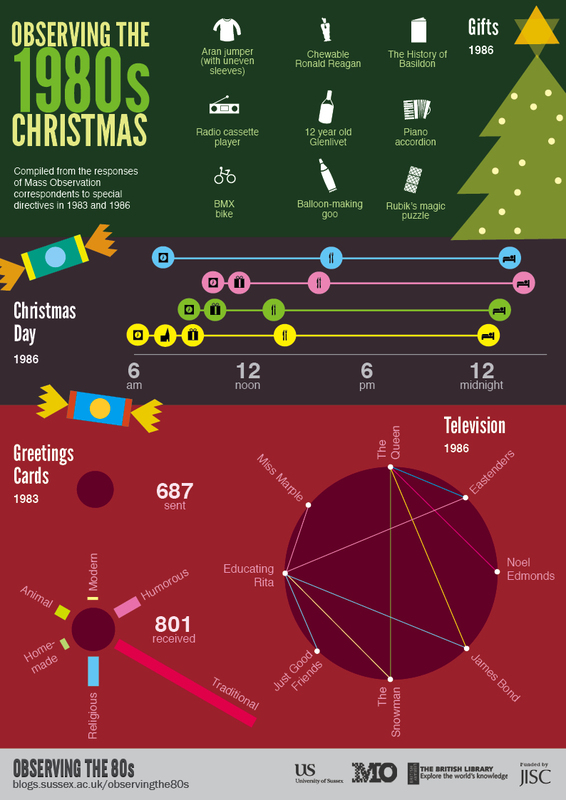 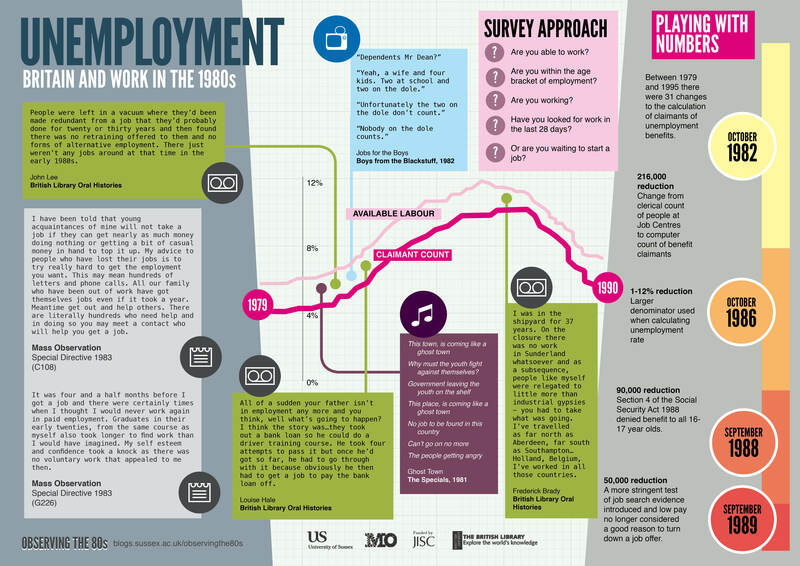 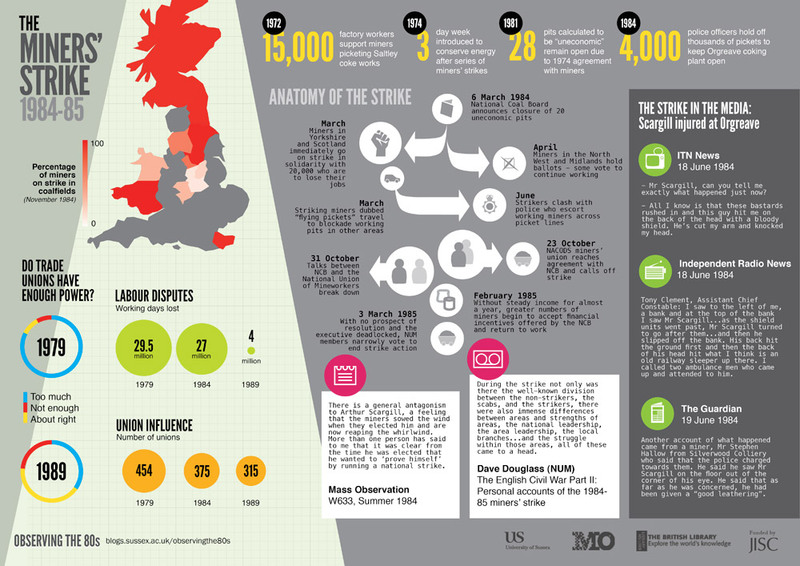 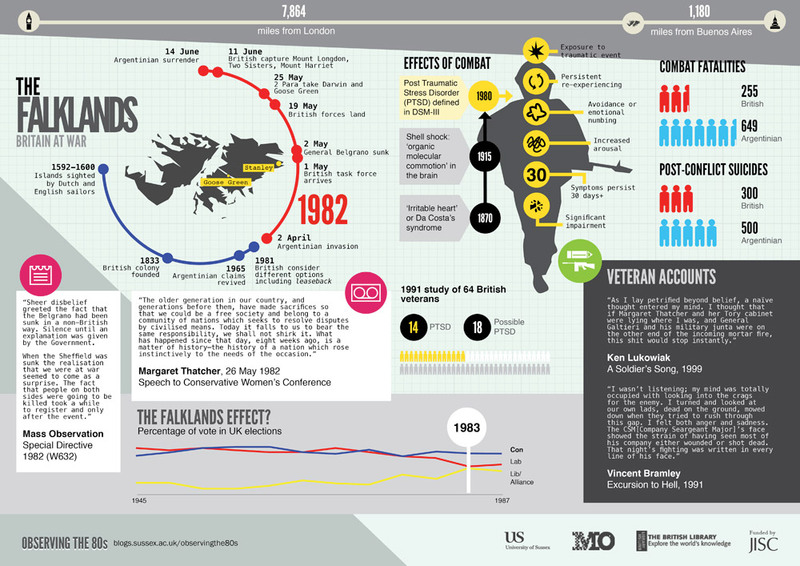 The infographics were produced by David Guest as part of the Observing the 1980s project under the themes of the Falklands War, the Miners’ Strike, Christmas (1983 and 1986), Sexuality and Unemployment. 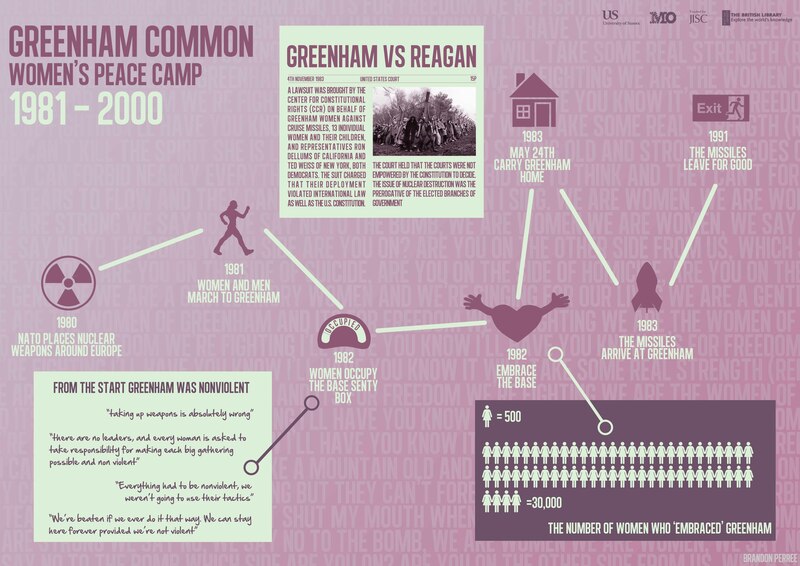 Brandon Perree, one of the students on the course, was inspired by the infographics created as part of the Observing the 1980s project and created his own Greenham Common Women’s Peace Camp infographic. You can read more about Brandon’s infographic in this blog post.